If you’re looking for a commercial space for rent, it can be understandably difficult to pin down the perfect location. After all, with all of the various types of commercial property classifications and types of offices for lease to choose from it can all get a little bit confusing. Don’t worry. We’ve assembled a guide to help you differentiate the various commercial property classifications to help you stay ahead of the curve as you search for the perfect commercial property for rent. Generally, office spaces are separated into three categories — Class A, Class B, and Class C. Each classification is usually determined by a number of factors that include aesthetics, amenities and the age of the building. Let’s take a more in-depth look at each classification type. Class A office space provides the best of the best when it comes to amenities and location. For example, Class A office leasing typically comes with on-site workout facilities, massive media centers, cafeterias, conference rooms and much more. Typically, Class A buildings are either completely brand new or have been significantly improved over the past few years. It terms of positioning, Class A buildings tend to be located in busy locations such as major roads, the center of business districts and anywhere else that’s generally busy with pedestrian traffic. An example of a Class A building would be a skyscraper located in the downtown area of a major city. The amenities and prime location of Class A buildings come at a price, however. Rent is astronomical, but of course, if you’re leasing a Class A space, your business likely makes enough to easily cover the expense. Class B office rentals are also excellent locations for respectable businesses to set up shop, but they aren’t quite as nice as Class A buildings. Class B office buildings are great alternatives for businesses who desire a high-quality building without having to pay the high cost of leasing a Class A building. 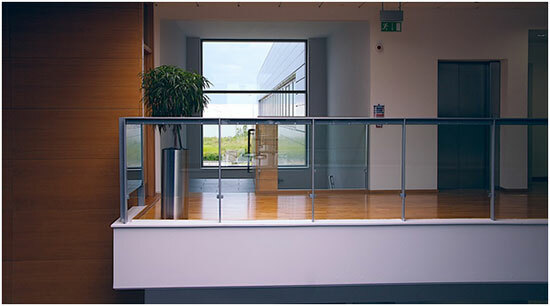 Sometimes, Class B buildings can be found in decent locations such as major commercial areas. 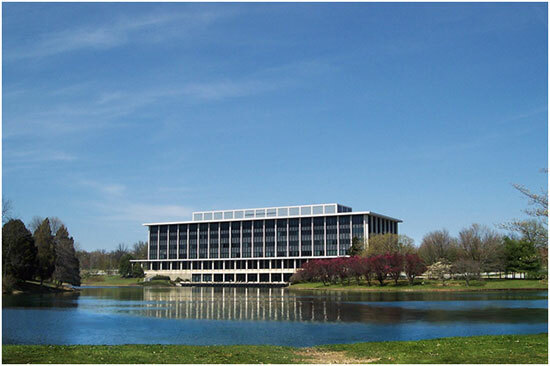 However, you’ll often find a vast majority of Class B office spaces in the suburbs. Interestingly enough, a good number of Class B buildings were once classified as Class A, but due to age and deterioration, they have been downgraded to Class B. Class B amenities can be just as good as their Class A counterparts though they tend to offer less benefits overall. With the right upgrades and renovations (along with an increase in amenities), a Class B building can eventually be bumped up to a Class A. When it comes to rent, Class B office spaces are considered to be average for their respective markets. As stated before, Class B buildings are excellent choices for businesses who want a quality building without paying the high rent costs of a Class A building. As you’ve likely guessed, Class C buildings offer far less than Class A and Class B buildings. They’re usually much older than their nicer counterparts and don’t provide as many amenities. When it comes to location, they tend to be located in undesirable environments. Class C properties may not be attractive to larger businesses, but they’re perfect for startups who are operating on a shoestring budget. Class C office spaces give smaller start-up businesses an opportunity to spend most of their money on more important areas of their business such as growth. In the meantime, they’ll still have a building to operate out of until they can afford something nicer. Classifications rely largely upon the quality of the building. However, office spaces can further be broken down into various types. This is your most common type of office space. Most people are familiar with traditional office spaces because they’ve either worked in one or have seen it on television shows and movies. All traditional office spaces usually have the same layout — cubicles, conference rooms, a reception area, private offices, break rooms, and a mailroom. This is the type of office space that’s very open in design. You won’t find any cubicles in this type of environment, and there’s a chance you won’t find many private offices either. You’ll often find floors that aren’t carpeted, and the ceiling has an “open” design where the ductwork is exposed. Creative office spaces have all sorts of collaborative spaces such as group workstations and conference rooms. It’s not entirely uncommon to find amenities to make employees as comfortable as possible. These includes game rooms, break rooms, a large kitchen, lounge areas and more. The purpose of creative office spaces, as the name implies, is to help employees feel more creative as they go about their daily jobs. You can find creative office spaces in all three classifications of office buildings, and they’re popular amongst both small and large businesses. In fact, even major corporations have renovated entire floors of their Class A office buildings into creative office spaces. With so many people turning to self-employment, co-working spaces are becoming more and more popular amongst freelancers and startups. Essentially, co-working spaces house several entrepreneurs who rent a single small space for themselves. Co-working spaces often have open areas where tenants can gather together to interact and bounce ideas off one another. This is the perfect arrangement for those who don’t have a significant budget dedicated for monthly rent. Co-working spaces come with a variety of benefits. For one they save the tenant thousands of dollars in rent. Some co-working spaces are flexible enough to offer week to week renting or even day to day. The most common arrangement is month to month in which the tenant can walk away at the end of the month if they so desire. Co-working spaces are also all inclusive which means all expenses including utilities, common area maintenance (CAMS) expenses and insurance are covered. This gives tenants the freedom to operate without having to worry about the various expenses that normally come with operating a business out of a office space for rent. Another type of office space that has yet to be mentioned are flex spaces. Flex spaces are ideal for those who require the entirety of their business, both the front end and the back end, under one roof. For example, a tenant will have their warehouse, accounting department, reception area and call center all in the same building. Finally, there are executive suites which operate much the same as co-working spaces except they’re more professional. Office suites are ideal for remote sales teams and other smaller businesses who wish to benefit from a more professional setting while still keeping monthly rent relatively low. Understanding the various types of commercial property classifications and types of offices for rent will allow you to plan out which space is right for your business. If you’re looking for commercial space in the Albany, NY area, then look no further than Atrium Properties. We can help you find the perfect building for your business so that you can get up and running. Contact us today to get started.